The highest peak on earth (at 8,850m elevation), Mount Everest is a favourite amongst trekkers all over the world. If you are planning to climb this mountain at some point in the near future, you’re probably trying to prepare yourself to face the challenge – this is, after all, a trek that will take days to complete and requires some serious skill. In this article, we have outlined what you should do to prepare yourself (mentally and physically) for the trip. There are two main climbing routes that you could take – the technically easier Southeast Ridge from Nepal and the infrequently used Northeast Ridge from Tibet. The Southeast Ridge (Nepal) Base Camp is located at 5,380m and takes between 6 and 8 days to reach. 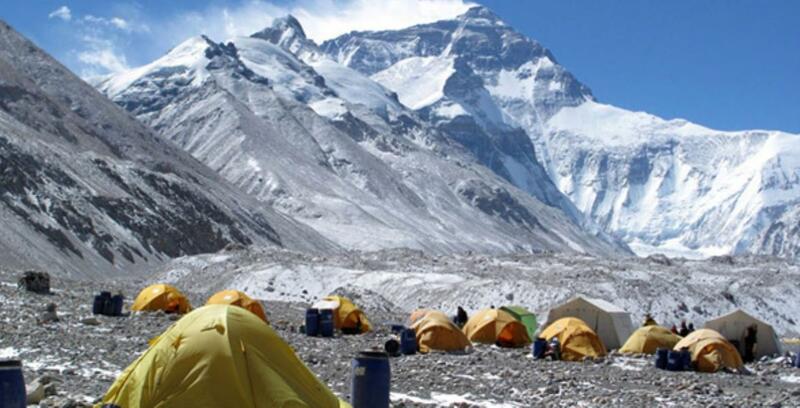 The Northeast Ridge (Tibet) Base Camp is located at 5,180m and takes a similar timeframe to reach. Most Mount Everest trekking groups will tackle the Southeast Ridge route. To ensure that you feel comfortable on the varied steep, rocky and sometimes icy terrain, you should do plenty of climbs that involve travel on crampons under all sorts of conditions. Ensure that you’re comfortable with extreme exposure and steep drop-offs. Get plenty of technical rock and ice climbing experience. Ensure that you’re comfortable with all of your gear; when you have frozen fingers and diminished mental capacity, you want these skills to be almost automatic. Remember that even when climbing to Base Camp you will experience higher altitudes, so it’s a good idea to get some experience with other climbs to see how your body and mind will perform. Some of the peaks that are often suggested for practice include Mount Rainier in the Rocky Mountains and Mount McKinley in Alaska. It’s also recommended that you plan a trip to Nepal a few months before your trek to ensure that you’re familiar with the culture. 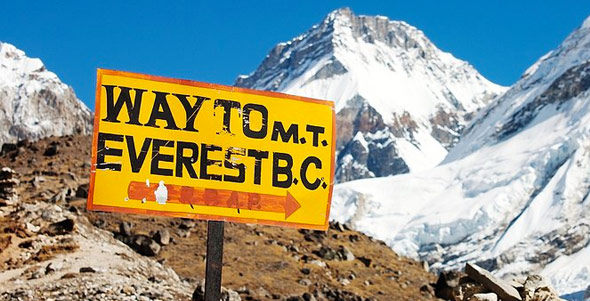 One of the toughest things about Mount Everest trekking is keeping motivated for the duration of the journey. Plan to spend a lot of time in your tent, waiting for the opportunity to climb higher. Be aware that you might be holed up due to bad weather, which can be intimidating and weaken your resolve. People in your group might become sick, and you yourself might become sick – but you will still have to carry on. Mental fortitude is a must. Training for such a trek is a huge undertaking. Instead of training for Everest from the start, you need to build up your training as you climb more challenging peaks. This is particularly important if you aren’t much of a trekker – you need to complete more amateur climbs before attempting something as challenging as Base Camp. You should establish training plans based on your current physical condition and specific goals, then adapt this as you improve. We hope that the information provided above has given you a much better idea of what you will need to do to prepare for Mount Everest trekking. It is essential that you don’t attempt the climb without the proper training, as it is physically and mentally demanding – those who are unprepared could quickly find themselves out of their depth. We also highly recommend booking through a tour company, as they will handle all arrangements for you.